"From the very beginning in 1972, the purpose of the BMW Owners News has always been to let each member know how much alike, and yet completely different from each other we really are. These are the words that drive us each month to produce the best content for the printed page. Are you a writer or photographer and interested in submitting your work to BMW Owners News or our website? If so, please email Bill Wiegand for a copy of our submission guidelines. Looking for some historical information or just missing a back issue in your collection? We have several years of back issues available on line and a small inventory of print copies available. Give the BMW Owners News a test spin. Sign up here for a complimentary three month trial subscription. No payments, no credit cards and no obligations. Just a no risk way to sample the BMW Motorcycle Owners of America. 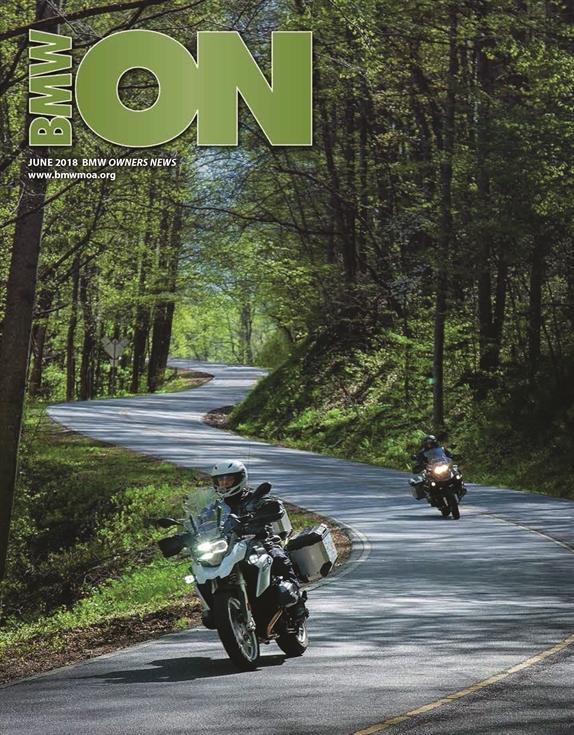 The essence of the BMW Owners News every month is the BMW MOA member. Like or dislike - we need to hear from you! Drop us a line. Let us know what is working and what isn't. If you have a feature story idea or the inside dirt on a topic our members should know about, we want to hear from you! Contact BILL WIEGAND with your ideas and you could be published in BMW Owners News!